You’ve written a book with an appealing plot, dynamic characters, and strong dialogue, or a chapbook of compelling, image-rich poetry. You are finally satisfied with your revision work. You’ve had the manuscript expertly edited and proofread. It can take months (or years!) to get your work traditionally published—if you’re lucky. Instead, take the bull by the horns and self-publish NOW. Your author website is up and running. As a savvy writer, you know that having an author website is essential to any writing career and especially important for self-published authors. You have a well-designed, professional site, and you actively update the contents so that it continues to function effectively as the hub of your author brand, fan base building, and online marketing efforts. You’re ready to start promoting your upcoming book on your website and social media to create a demand for your writing as you begin the self-publishing process. You’ve exhausted all the traditional markets for your work. Many authors want to try the traditional route before they head down the self-publishing route. Maybe you have already queried many literary agents in hopes of landing a traditional publishing deal, but so far you haven’t been successful. And it’s even harder to get a literary agent interested in a poetry chapbook. You might be under the impression that self-publishing is a second-rate option, but think again. Respect for self-publishing continues to grow within the industry—to the point that some authors are choosing to self-publish first! Take advantage of this legitimate alternative to traditional publishing. You want a publishing option that gives you total control. You are uncomfortable with the fact that traditional publishers call all the shots when it comes to publishing a book. Final decisions on editorial changes, book cover design, promotional support—even titles!—are made solely by the publisher. When you self-publish, YOU have the final word on every aspect of the process. So take control and get your book out there into the hands of waiting readers! 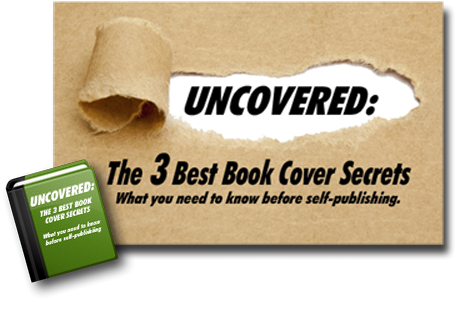 There are many benefits to self-publishing, but navigating the process can be complicated. So be sure you’re well prepared. If you’re procrastinating because you’re worried about dealing with the technical requirements of the self-publishing process, remove that final obstacle by letting Self-Publishing Relief help! Request a free consultation now. What are you waiting for? QUESTION: What are some other signs an author might be ready to self-publish now?